The Furniture Classics 51476AB30 Chord Side Chair is available in Hickory Park's, North Carolina Furniture Galleries. Hickory Park may be restricted from showing prices, however please select the Click For Quote button and Hickory Park Sales and Design Staff will reply or please call (828) 322-4440 for more information. Simple and elegant, this quiet beauty is hand carved from mahogany to replicate bamboo This unique Chippendale chair is finished in soft cocoa and grey tones, and upholstered in stylish burlap, making it perfect for today's interiors. 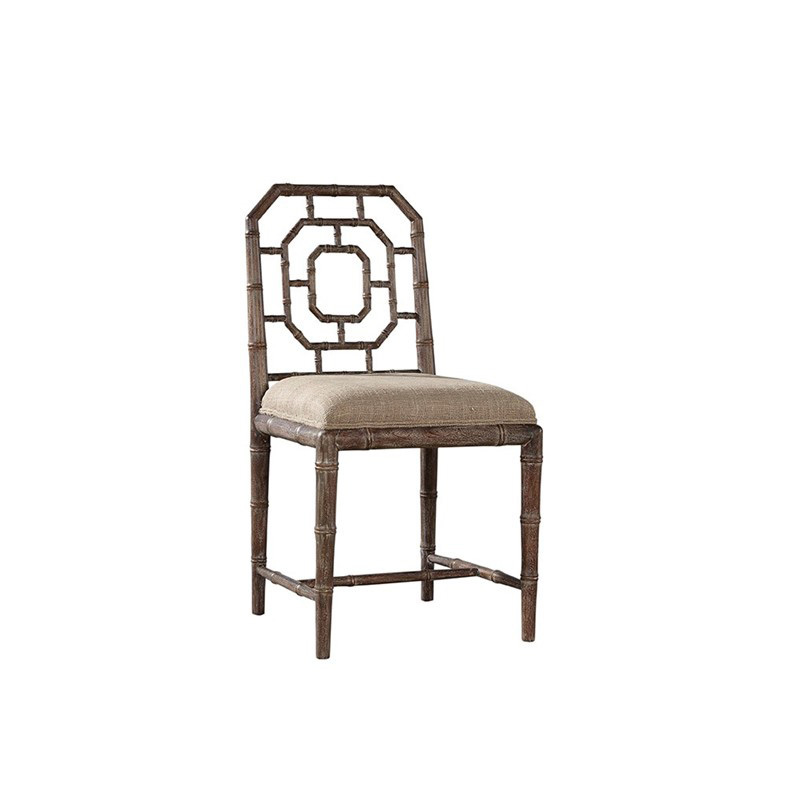 Click here to receive price quote for Side Chair 51476AB30 item.